It's Live!! Cover Reveal: Crown Of Oblivion (Julie Eshbaugh), Plus Giveaway! releasing November 2019 from HarperTeen! Hi YABCers! 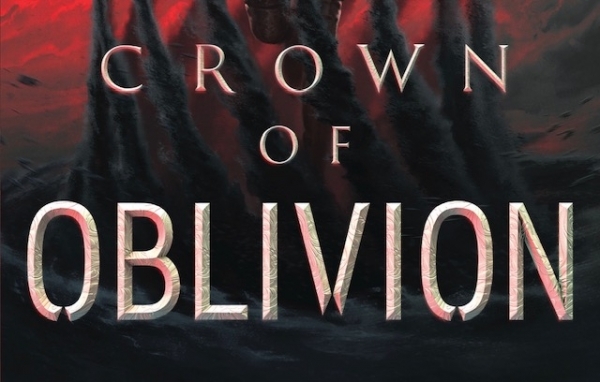 Welcome to the exclusive cover reveal for CROWN OF OBLIVION! I’m so excited to share this cover with you! It’s quite special to me, because it’s my first US cover to show one of my characters. When I first saw this image, it startled me. It was an intense moment, to look into Astrid’s face. (Even typing this, I’m getting choked up about it!) I love the way the illustrator captured her fierceness. I’m not going to lie—it’s scary to see how an artist interprets your character, but this portrays Astrid perfectly. She is an amazing young woman, and I can’t wait for you all to get to know her better! "All my thanks to art director Joel Tippie and artist Jason Chan." As the surrogate to Princess Renya, Astrid lives amongst royalty. Her life, however, is far from privileged. If Renya steps out of line, Astrid is the one who gets whipped. It’s a nightmare, but Astrid has no choice—she and her family are Outsiders, the lowest class of people, without magic or citizenship. The only way out is to compete in the deadly Race of Oblivion. First, racers are dosed with the drug Oblivion which wipes their memories. Then they awake in the middle of nowhere with a slip of paper containing the race’s first clue. Whoever finds the clues first and crosses the finish line wins. That’s the only rule—racers have killed each other in pursuit of the next clue, and the punishing terrain kills even more of them. For Astrid, competing could mean death. But winning could mean freedom. 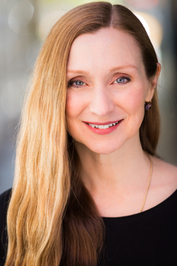 Julie Eshbaugh is a YA writer and former filmmaker. She made two short films and then spent several years producing an online video series for teens which received several honors from the Webby Awards. Her new YA fantasy, CROWN OF OBLIVION, is coming from HarperTeen this November. You can learn more about Julie’s writing escapades by visiting www.julieeshbaugh.com. I love the cover! The description is giving me slight Throne of Glass or Hunger Games vibes in the sense that there's a competition where you either win or die, but Crown of Oblivion sounds really interesting, and I can't wait to read it! I love the cover! The description is giving me slight [i]Throne of Glass[/i] or [i]Hunger Games[/i] vibes in the sense that there's a competition where you either win or die, but [i]Crown of Oblivion[/i] sounds really interesting, and I can't wait to read it! I'm beyond thrilled for this book! I loved Julie's Ivory and Bone and series and I can't wait to read more of her writing! This one sounds exhilarating and action packed, a mixture of Scorpio Races and Hunger Games with a touch of royalty thrown in! This cover is so dark and dangerous too! I'm so ready!!! I really love the cover, it gives me an incredible curiosity for the book, also the plot is very interesting. The main character seems badass, exactly how I like it! It reminds me vaguely at HG or Selection! Can't wait to read it! The synopsis sounds amazing !! This cover is stunning, simple and yet so detailed. I would buy this book solely on the looks of the cover. And don't let me get started on the synopsys. I have to have it, I have to read it.